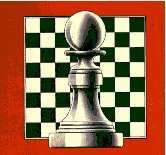 There are six (adult) chess clubs in Bucks in the UK governed by The Buckinghamshire County Chess Association , all of which meet at 19:30 on the indicated evenings. If you have an interest in playing chess, please just come along to your closest or most convenient venue and talk to some of the people there. The atmosphere is quite relaxed, and potential members are always welcome. Click on the Club Name for further club information. Click on the Club Address for directions to the club and a map of it's location. Unfortunately, most clubs are closed for the Summer, which means that it's difficult to get a game between June and August inclusive (although keep an eye on the News Page for local events).